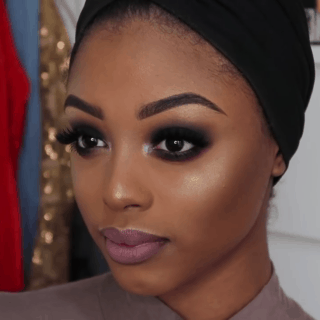 There are some makeup styles that are a popular pick for an everyday look and there are some that are absolutely reserved for the most glamorous and fancy occasions. 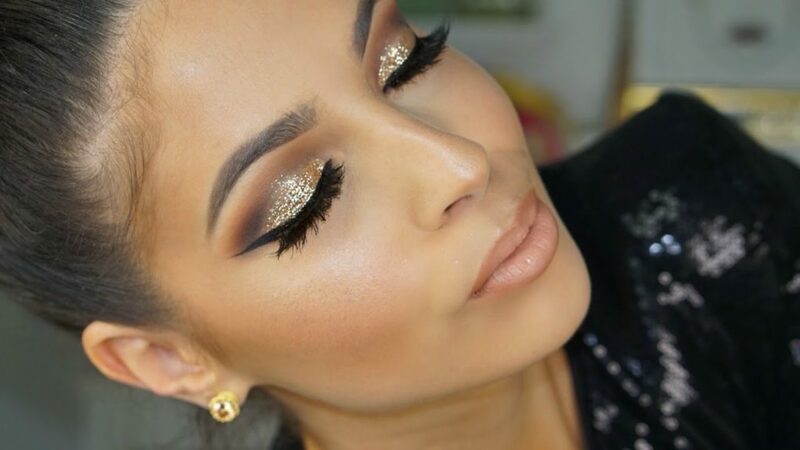 The glitter eye makeup is definitely one of the latter! 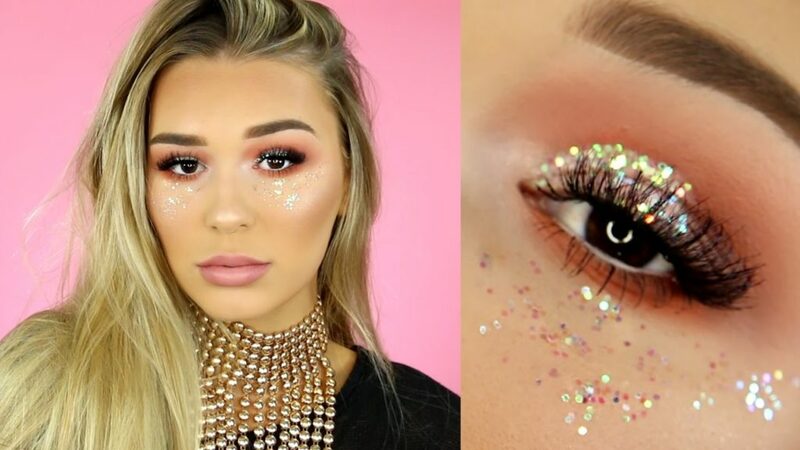 When you want to transform yourself into a queen and channel your inner goddess, make use of that glitter like it’s no tomorrow! 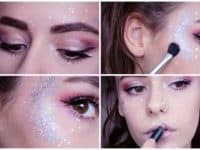 Check out some of the ideas for a marvelous DIY glitter eye makeup down below! 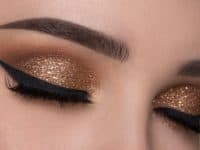 Glitter represents glamour and prestige, instantly making you the center of attention, but that doesn’t mean your eye makeup can’t have a softer and sensual nature to it at the same time. 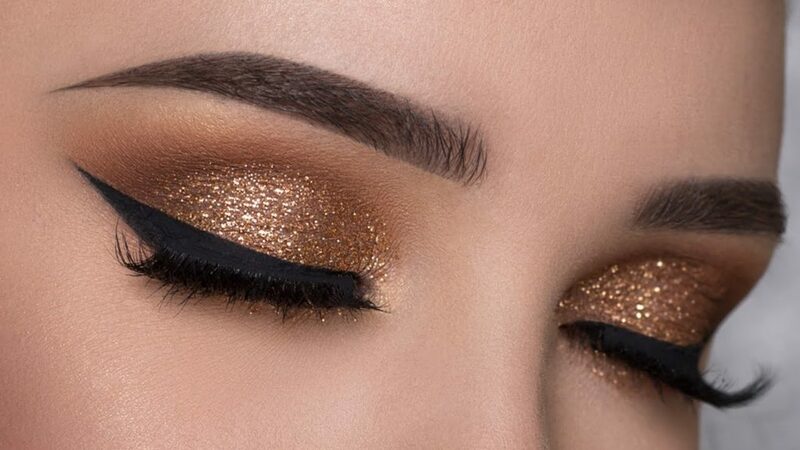 An Knook will show you how brown eyeshadow can soften the glitter look and give it an elegant, gentler appeal! 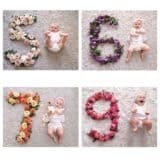 Rose gold is definitely the color of the year. 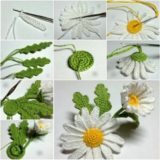 It’s soft and unique, exciting and calming at the same time, appropriate for a whole variety of occasions. 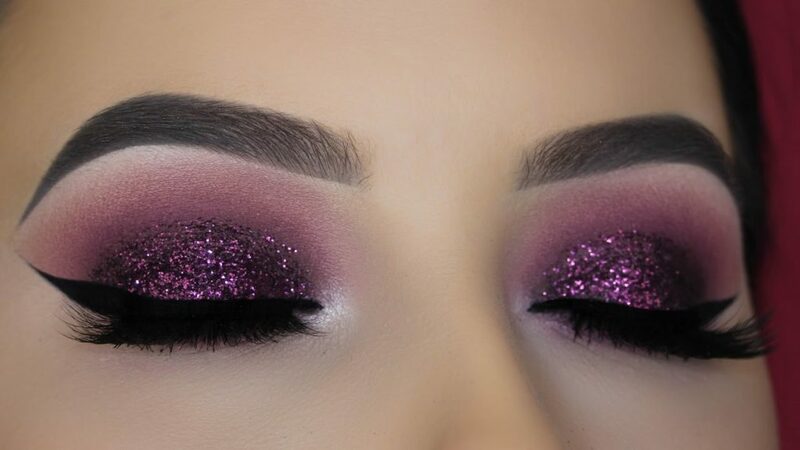 If you are looking for the kind of eye makeup that will charm everyone and still reflect your tender nature, Tina Halada‘s rose gold glitter makeup is the one we’d recommend! 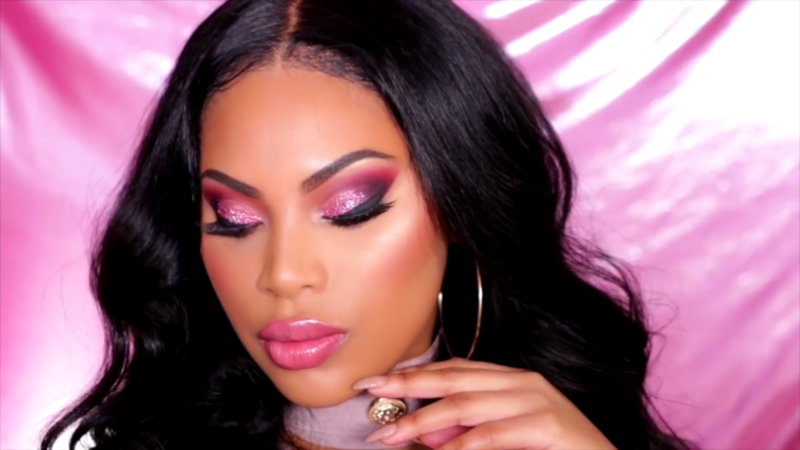 Pink is the color often linked to romance and feminine energy and you can absolutely make the best of both by wearing Msroshposh‘s pink glitter makeup look to your next date night! 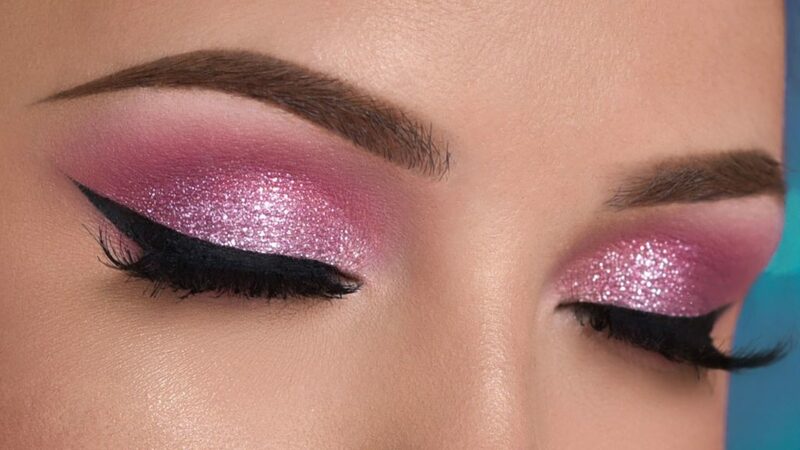 The sensual nature of pink mixed with the boldness of glitter will make you incredibly alluring! 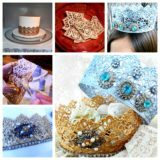 The combination of gold and glitter may seem a bit over the top, but don’t forget there’s always a way to bring elegance to the look. 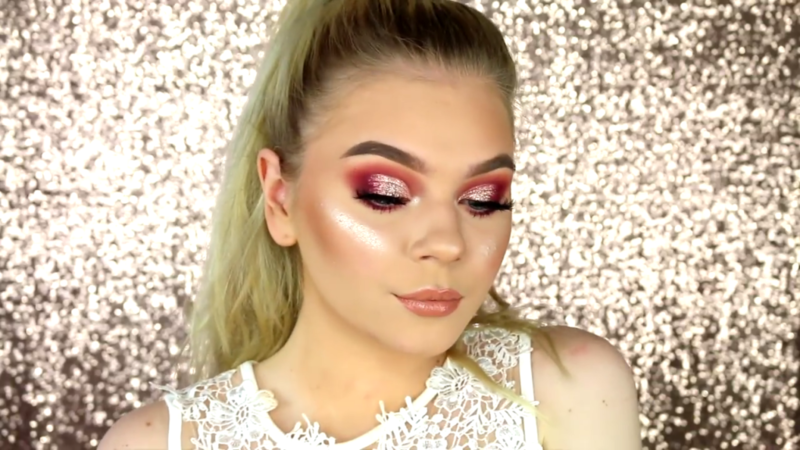 Laura Lee paired the golden glitter makeup with a hint of smokey eye and the result is a shiny eye makeup with much depth and mystique! 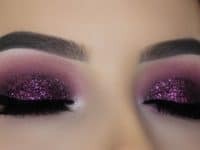 Make sure you are the most noticeable on the dance floor on your next night out with this outstanding purple glitter makeup by An Knook! 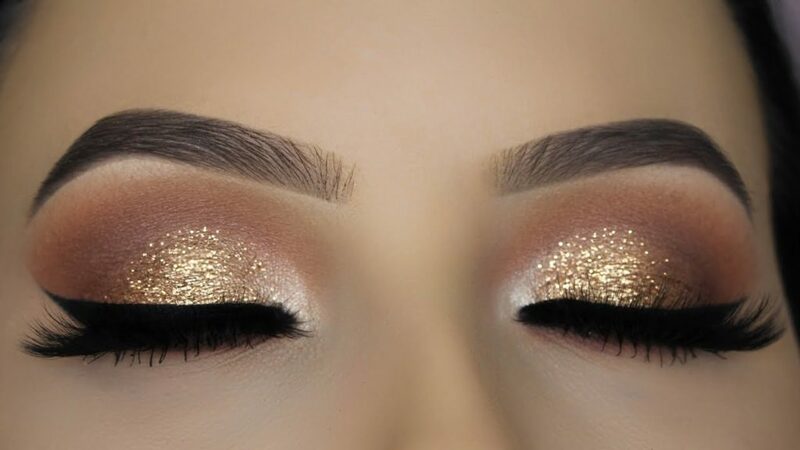 It’s so beautiful that you won’t even want to wash it off at the end of the day, in the early morning hours after you have sparkled throughout the whole night! 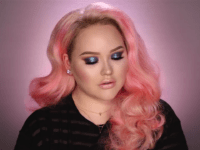 If you’re closely following the beauty trends you know that metallic shades have taken the industry by storm. 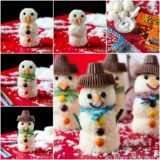 They tend to shimmer on their own already, but a little glitter doesn’t hurt as it only enhances their unique look. 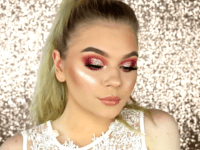 Visit Dentislava Makeup to see how copper hues pair with a glitter eye makeup! 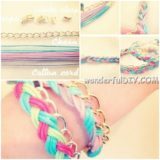 Are you on a hunt for your next festival look? 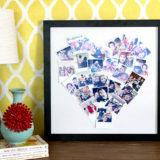 Something that would look exceptional in countless Instagram pictures and last all day, despite all of the dancing? 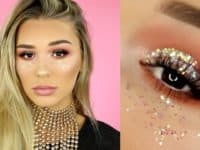 Shani Grimmond has just the makeup you’re wishing for and she’s going to turn glitter into your best festival friend! 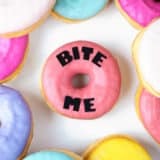 If you love eccentric and innovative makeup styles that visibly stand out from the rest you already know how valuable glitter is in such makeup ventures. 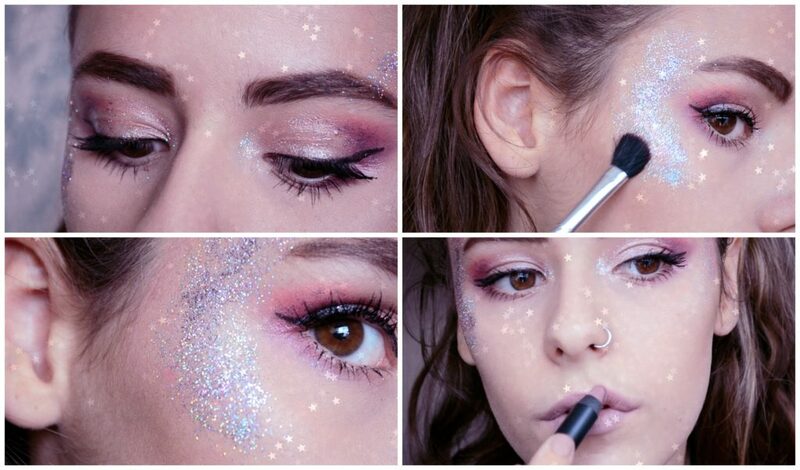 Tilly Wilson‘s galactic glitter makeup is one that extends beyond just the eyes and makes you appear totally cosmic! 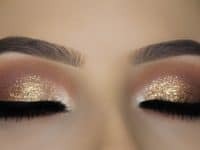 The glitter makeup can either be used as the focal point of the your style, or it can serve the purpose of bringing alive another element of the makeup. 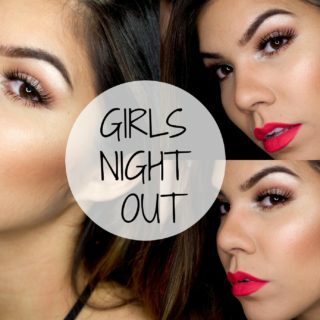 James Charles created a captivating makeup look where the glitter liner emphasizes the cranberry eye shadow. 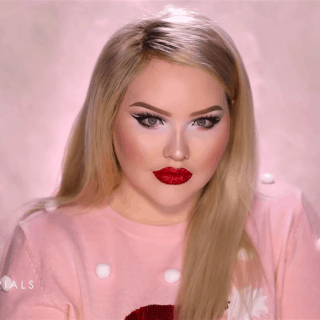 Did you use to dream of becoming a mermaid when you grow up? 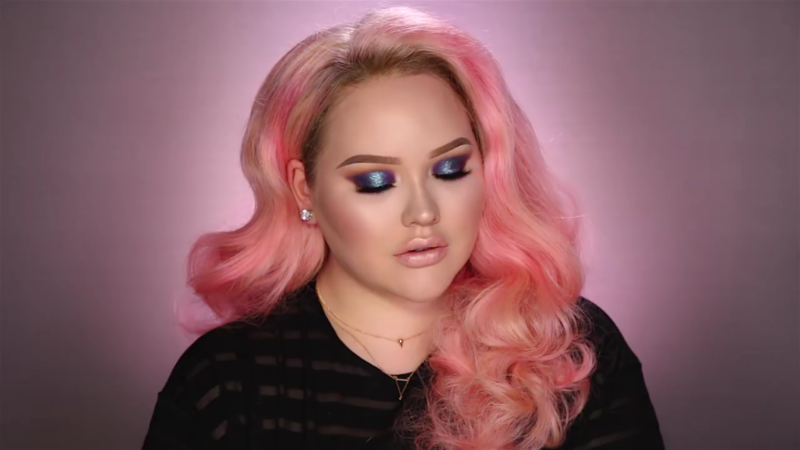 Nikkie Tutorials may hold the key to unlocking your deepest dreams with a charming mermaid glitter makeup that will give you that fairytale look you’ve always yearned for! 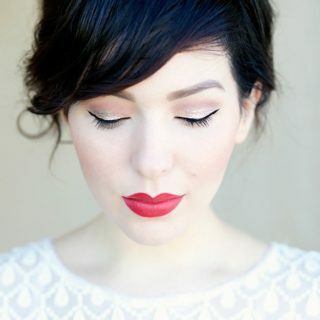 Dentislava Makeup shares a makeup style that asserts the power of pink! 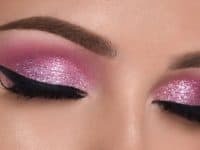 The balance of glitter and pink eye shadow creates a very romantic look, one that will easily charm anyone you go on a date with, but most importantly it’s going to give you so much confidence! 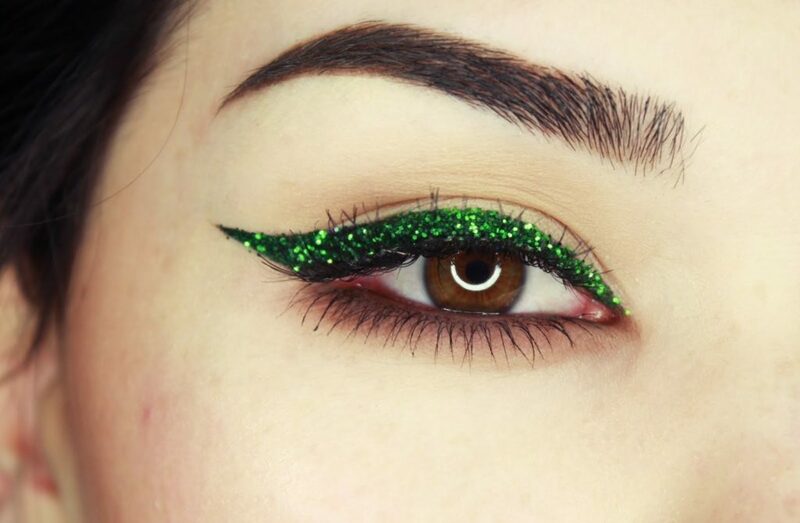 Glitter is bold enough on its own, but the addition of green gives it a spectacular dominance over the whole style. 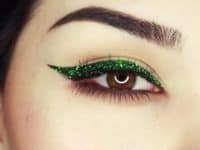 Easy Neon created a stunning look emphasizing only the glittery green eyeliner but it’s equally as powerful as a full-face makeup! 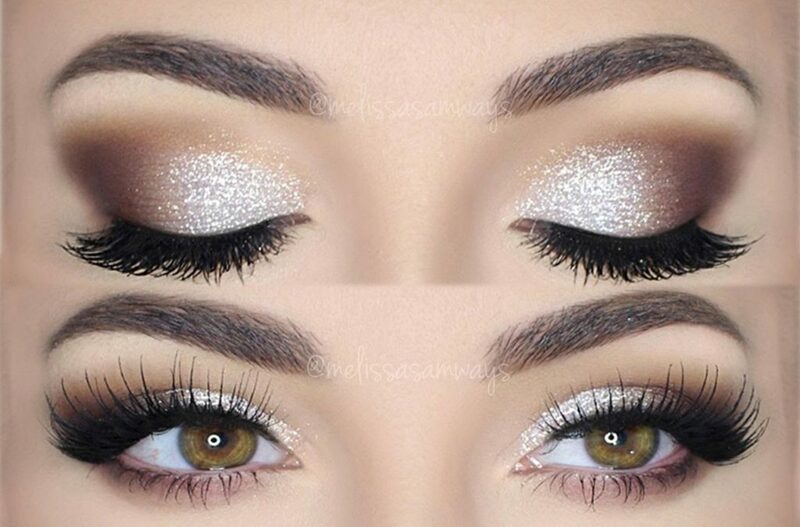 For a really glamorous look that carries an aura of seductiveness, go with this silver glitter makeup by Melissa Samways! 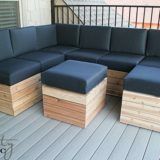 Create a sophisticated presence with the metallic silver color and allow the glitter to give the whole styling a sweet and playful undertone.